gn. Generally, this type has flat roof panels but slightly sloping and vertical sidewalls. 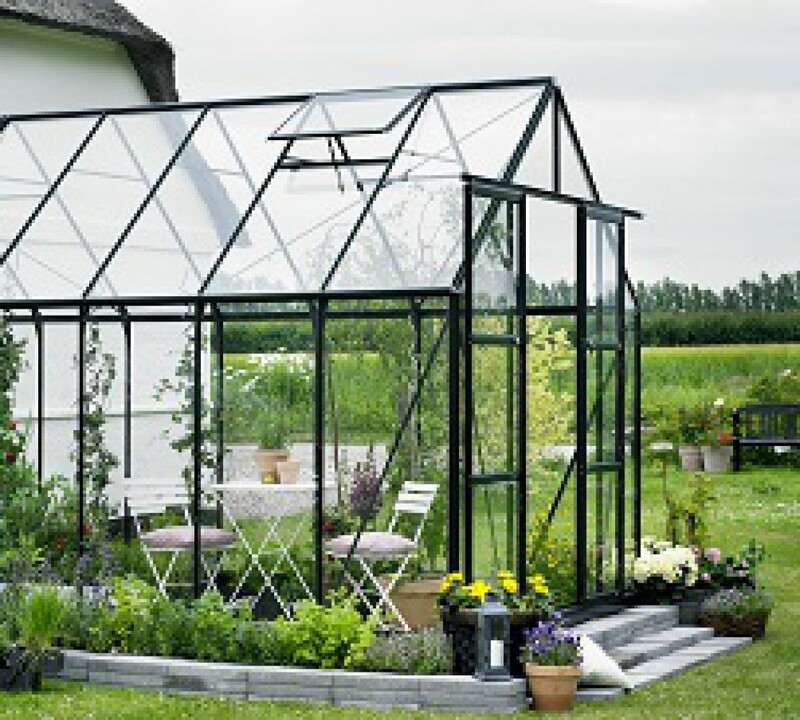 At times, the gable types of greenhouse are also attached to another greenhouse employing the use of the end wall rather than sidewall. 5. Gothic style greenhouse. This design type has a very historical gothic appearance. The walls and roof are formed in such a manner as to create a continuous form, allowing snow to fall down easily. This design type can be either attached or freestanding, however it is usually not recommended attached except when your home’s design is very much similar to a gothic design. 6. Hoop greenhouse. This type of design is constructed with a metal pipe or PVC to make the hoop’s shape then enclosed with plastic covering. This type of design is very cost effective on your initial purchase, but the maintenance of continuously replacing the cover (plastic) can really add up. One will find that the majority of greenhouses for sale are manufactured from aluminum material that is weatherproof and lightweight. Galvanized steel also is sturdy and lightweight. Wood can also be used, but one has to make sure to use a lumber that has been pressure treated such as redwood or cedar because these are weather resistant. • Will be cable to endure extreme weather conditions, like very high winds and snowfall build up. • Should have the necessary support for grow lights, sidewall shelving and hanging baskets. • Should have an intricate detail of having hinged screened storm doors as well as large side or individual roof vents. • A wide selection of styles and sizes offered. Keep in mind that costs can limit your greenhouse size, however extensions can later be added when needed and when you already have enough budget for it. • The door may be easily adjusted to be dropped or lowered into the foundation’s opening so to get rid of an elevated step when you feel that it is needed.